Winner of the 2017 Homer Ledford Award: Doug Naselroad! Since 2007, the Kentucky Folklife Program, based in the Department of Folk Studies & Anthropology of Western Kentucky University, has awarded the Homer Ledford Award to Kentucky luthiers who have demonstrated outstanding craftsmanship, mastery of making and setting up instruments for excellent tone and playability, and who have been recognized by the communities of musicians they serve. In the 90s, Doug was offered a job at the then-new Collings Guitars factory in Austin, Texas where he made guitars for the likes of Lyle Lovett, Steve Miller, John Prine, Steven Spielberg and even Bob Taylor. Thousands of instruments later, Doug returned to eastern Kentucky to continue his own work, which alternates between more traditional patterns and experimental art guitars. Perhaps the most important facet of Doug’s work today is mentoring young (and old) instrument-makers in Hindman. Doug feels compelled to give back what he’s been given– a wealth of experience in instrument making. In a region fraught with rampant drug-abuse, coal industry decline, and growing loss of cultural identity, the creation of the Kentucky School of Luthiery in Hindman represents hope and tradition to those that walk through it’s doors. Doug Naselroad goes above and beyond to create a community around music and luthiery in eastern Kentucky. He meets the struggle of individuals trying to achieve a valued place in the community by teaching them the traditional folk craft of instrument making. He can always be counted on to stop and play a song, or discuss a current project or the history of the dulcimer with visitors that stop in, including bicyclists just passing through on the TransAmerica Trail, community members, tourists and school groups. On most days, the studio is abuzz with the whirrs and bangs of saws and sanders and of people jostling around. The sleepy little town of Hindman is awake when Doug turns the studio lights on. We are pleased to honor Doug Naselroad with the 2017 Homer Ledford Award. The Kentucky Folklife Program, along with our partner the Kentucky Arts Council, will present the award at Kentucky Crafted: The Market in Lexington Center on Saturday, April 22, 2017. 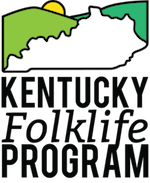 The Kentucky Folklife Program, based at Western Kentucky University and housed within the Department of Folk Studies & Anthropology, has a long history of working with the Kentucky Arts Council to document, present, conserve, and teach the public about the rich heritage of folk and traditional artists working in Kentucky today. This award celebrates the legacy and creative industry of traditional stringed instrument makers who are vital to Kentucky musical culture. Past Homer Ledford Awardees include Warren May of Berea, Art Mize of Lexington, Donna Lamb of Lancaster, and Frank Neat of Russell Springs.